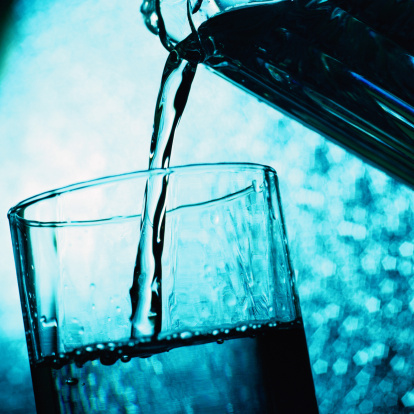 You can keep your drinking water safe, healthy and sparkling clean using any one of several filtration systems. Water's color does not necessarily reflect whether it's drinkable. However, clear water is a reassuring sign to most people living in industrialized nations and, in some cases, color in the water can indicate unsafe levels of contaminants. Several types of filters can effectively remove coloration from water. Activated carbon filters are commonly used for household water filtration as well as larger-scale uses. The carbon works like a sponge, absorbing rust, chlorine, sediment and organic matter as well as offensive tastes, odors and colors. These filters typically use petroleum coke, bituminous coal, lignite, wood products or peanut shells as a source of carbon. To "activate" these materials, the filter manufacturer heats and steams them in an oxygen-free environment, creating small holes in the carbon. Finally, the activated carbon is crushed into a powder form. Keep in mind that activated carbon is only a means of filtration, not purification; it does not remove bacteria. Oxidizing filtration is a useful technique when water contains relatively small amounts of hydrogen sulfide. The oxidizing process serves to remove the sulfur, which gives water a yellowish tinge. Oxidizing filters use potassium permanganate, which must be continuously supplied for the filter to continue to function. The level of potassium permanganate is crucial to successful operation; too much, and it can add a pinkish hue to water instead of removing color. Besides sulfur, some oxidizing filters help to remove iron and manganese, other common causes of coloration. Oxidizing filters work best on water with a pH level of 7 or higher. Mechanical filters, also known as particulate or turbidity filters, help to "strain" particles from the water, producing clearer, more aesthetically pleasing water. These filters may use sand, paper, spun cellulose, rayon or even compressed glass wool to remove particles from water. If your water has dirt, sediment or loose particles of lime scale, a mechanical filter may be effective in clearing the resulting coloration. In some cases, mechanical filters also remove asbestos, giardia cysts or organic residues in water. Some filters may also help to neutralize acidic water. If mechanical filtration is combined with chlorination, it can remove iron and manganese particles from the water. Reverse osmosis filters are effective at removing a range of colors from water, from suspended organic matter to minerals such as iron, which causes a red or yellow color; copper, indicated by a bluish tinge; and manganese, which gives a black color. 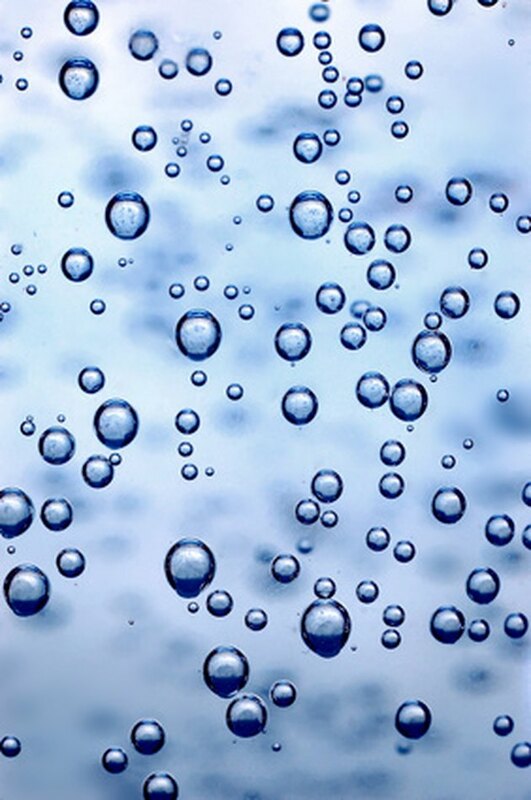 Reverse osmosis, or "ultrafiltration," uses a semi-permeable membrane with microscopic pores. These pores allow water molecules to pass through, but keep out other, larger compounds. How Does a Computerized Paint Color Mixer Work?